The traditional Squeeze festive appearance on Jeremy Vine’s show – today! Radio 2 DJ Jeremy Vine is a huge Squeeze fan – in fact he was in the original Squeeze fan club with me and several of my friends in 1979. He loves the band so much he uses his position in the BBC to get them in every Christmas as a bit of a tradition to play in the studio. 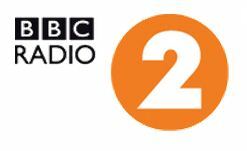 Well, today’s the day and you can hear Squeeze live on the Jeremy Vine Show on BBC Radio 2 on line, on digital and on 88 to 91 FM in the UK from 1200 to 1400. Enjoy! Jeremy discusses mass hysteria after Kim Jong-il’s death, whether the 1950s was our greatest decade, Britain’s shortage of foster carers and Squeeze play live in the studio. One Response to "The traditional Squeeze festive appearance on Jeremy Vine’s show – today!"